Antioxidants are all very popular today. And, rightly so. Antioxidants help counteract free radicals which cause cell damage, which consequently can bring on ailments of the heart as well as cancer. It seems like almost everywhere you go it is blueberry this and blueberry that. You have your choice of wild blueberry juice, blueberry-pomegranate juice, blueberry-cranberry juice, and so on and so forth. Now, don't misunderstand. I adore blueberries. But in our dash to embrace the latest antioxidant food craze (blueberries, cranberries, pomegranates) we're ignoring some very high-antioxidant foods that are probably sitting ignored in our cupboards. “What?” You ask, “What could quite possibly be much higher in antioxidants than my treasured wild blueberry?” Well, what about the little red bean? That's right, I said “bean.” The small red bean, in fact, has even more antioxidants per serving size than the wild blueberry. And the red kidney bean and pinto bean have even more antioxidants per serving size than a serving of cultivated blueberries. The truth is, there are numerous common foods rich in antioxidants and you shouldn't just limit yourself to a single particular food source. Why? 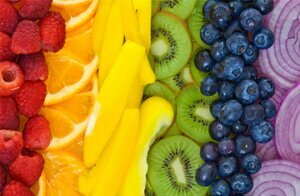 Well, have you at any time heard the phrase, “eat your colors?” That pertains to the truth that foods items are in various color “families” consisting of various types of antioxidants which have assorted benefits. The yellow-orange color family of peaches and nectarines help our immune systems. The purple-red color family of foods (pomegranates, plums, berries) helps lower inflammation. It's essential to eat foods from all color groups to gain the full advantages of antioxidants. What additional foods are high in antioxidants? For beginners, there are artichoke hearts, blackberries, prunes, pecans, spinach, kale, russet potatoes, and plums. And, no, that's not a mistake. Russet potatoes are on the list of foods high in antioxidants. The good news is that you can consume wholesome foods high in antioxidants (by eating them raw, cooking them, or juicing them on your own) minus the high cost for the “flavor of the month” antioxidant juices being pitched in the grocery stores. Give your blueberries some company at the dinner table. Invite some beans, spinach, potatoes and artichoke hearts and enjoy your antioxidants!